Santa has a special place in his heart for children so it's just natural that he would plan to stop by Branson where it is known, as far away as the North Pole, that he'll find lots of children visiting with their families during "Ozark Mountain Christmas." 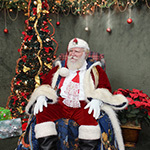 While in Branson Santa has been seen visiting many Branson shows and attractions, but his favorite thing to do is to visit with children to find out what they want him to bring them for Christmas. Read entire article here. There's still time to enjoy Branson in December, and the package savings are amazing! Book your Welk's December Getaway for as low as $169, and enjoy exceptional lodging at the beautifully renovated Welk Resort Hotel! Two and three day packages include two tickets to Grand Jubilee, or any show from a specially selected list, two tickets to the Butterfly Palace, and a fabulous Guest Card Savings Book! Four day packages include two tickets to Silver Dollar City, two tickets to Grand Jubilee or a show from our list, and the savings book. Call now before time runs out! View packages here. Did you know this about Christmas Week in Branson? 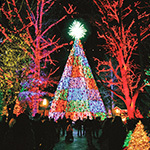 Although many don't know it, 'Branson's Christmas Week,' the week between Christmas and New Year's Day, offers the same type of excitement, adventure, shopping and entertainment for which Branson is famous," said Annette Wood, the Director of Sales and Marketing for the Branson Tourism Center. She goes on to point out that because there is typically less people visiting Branson during that period everything seems to go at a more relaxed and leisurely pace with less lines and traffic. Read entire article here. 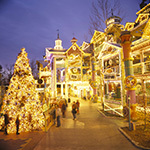 "Since its debut over twenty years ago, Silver Dollar City's Old Time Christmas, with its millions of lights, shows, rides, shopping and other activities has become the major focal point of Branson's 'Ozark Mountain Christmas,"' said Tammy Johnson, the General Manager for the Branson Tourism Center, one of Branson's largest and most respected vacation planning services. "With the whole 'city' festooned with millions of Christmas lights, it truly is a magnificent spectacle and one that has just been named as one of 'USA Today's Top 10 Spots for Holiday Lights," she continued. Read entire article here. 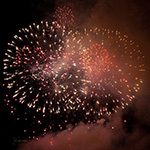 Why Not Spend New Year's Eve in Branson? 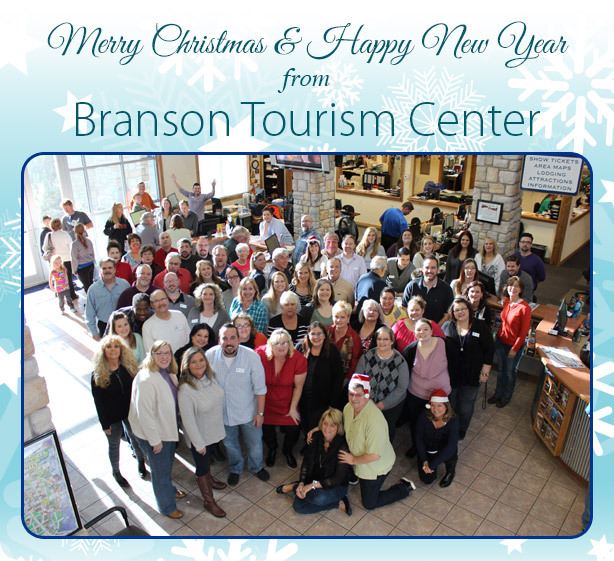 "Branson's Christmas Week, already filled with the adventure, fun, shopping and entertainment Branson has to offer, takes on added excitement and anticipation on New Year's Eve, both during the day and into the evening and night time hours as the New Year approaches," said Annette Wood, the Director of Sales and Marketing for the Branson Tourism Center. "Whether it's a family or a couple looking for an exciting and fun way to 'ring out' the old year and welcome in the New Year, Branson offers an amazing variety of ways to celebrate the New Year," she added. Read entire article here. 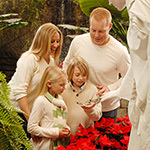 "'White Flight" at Branson's Butterfly Palace & Rainforest Adventure adds new meaning to the term 'White Christmas,'" said Annette Wood, the Director of Sales and Marketing for the Branson Tourism Center. "It's another of those special Ozark Mountain Christmas activities that makes Christmas in Branson a special experience," she added. Read entire article here. 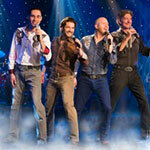 Branson "Buzz of the Month:"
Grand Country's Grand Jubilee, staring the "New South" quartet, will be the first of Branson's almost 100 shows to premier their 2015 season show. Mike Patrick, General Manager and Producer of Grand Country Shows, said, "We start rehearsing for next year's show while we are doing our Christmas Show and actually premier it during our New Year's Eve show and party. We are really excited about the new show with new music, fresh comedy and some really 'grand' surprises." Read entire article here.